Have you been dreaming of tropical cabanas running along white sand beaches? Palm trees gently swaying in the wind as the sun sets over turquoise waters? Even if a Caribbean vacation isn’t in the near future for you, you can still enjoy a taste of the tropics when you hire SRA Home Products to install one of our resort-like cabanas in your Toms River, New Jersey, backyard. 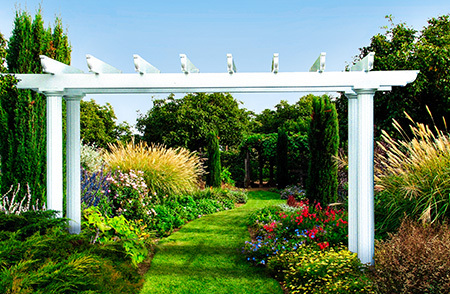 Our cabana structures span 10’ x 12’, providing you with ample room underneath for a hot tub or a lounging area. 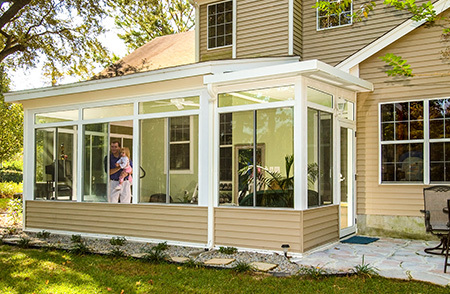 You also have the option of installing curtains, which offer you added privacy if you want to use your new cabana as a changing area for your pool or spa. 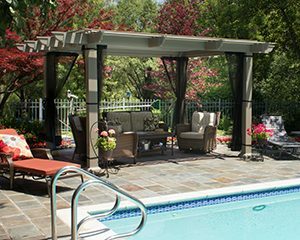 Furthermore, because our cabanas are freestanding, you can choose to have us install one anywhere you desire in your Toms River backyard, without having to anchor it to an existing structure. They also feature a resilient TEMKOR polymer coating, which guards against fading, chalking, warping, peeling, cracking, scratches, and dents. Thanks to this innovative material, our cabanas require almost no annual maintenance, ensuring that you’ll be able to spend as much time as possible relaxing outside. If you’d like to enjoy the amenities of a tropical resort without having to leave your home in Toms River, NJ, please call SRA Home Products today to discuss installing one of our relaxing cabanas in your backyard.